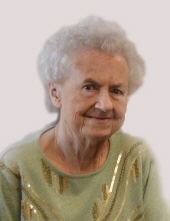 age 94, formerly of Baldwin passed away at Garvey Manor Nursing Home in Hollidaysburg, PA surrounded by her loving family February 3, 2019. Margaret was a long time volunteer at the Baldwin Health Center and enjoyed bingo, game shows, and feeding the birds and bunnies in her backyard. "The Lady" was happiest cooking Sunday dinner for her family and joining the card games that followed. Her kindness and generosity will be remembered by all who knew her. Margaret is survived by her children, Judy McKillop (Bill), William McMahon Jr. (Diane), Ronald McMahon (Coralie) and 8 grandchildren and 6 great-grandchildren who brought her great joy. She was preceded in death by her beloved husband of 56 years William McMahon and her parents, William G. and Isabelle M. Kiesling. Complying with the deceased's wishes a private family viewing will be held at JEFFERSON MEMORIAL FUNERAL HOME. Mass of Christian Burial will be held on February 7, 2019, 11:30 am, at St. Gabriel of the Sorrowful Virgin Church 5200 Greenridge Drive, Pittsburgh, PA 15236. In lieu of flowers donations can be made to Garvey Manor Nursing Home, 1037 S. Logan Blvd, Hollidaysburg, PA 16648. Condolences may be left at www.jeffersonmemorial.biz. To send flowers or a remembrance gift to the family of Margaret M. McMahon, please visit our Tribute Store. "Email Address" would like to share the life celebration of Margaret M. McMahon. Click on the "link" to go to share a favorite memory or leave a condolence message for the family.